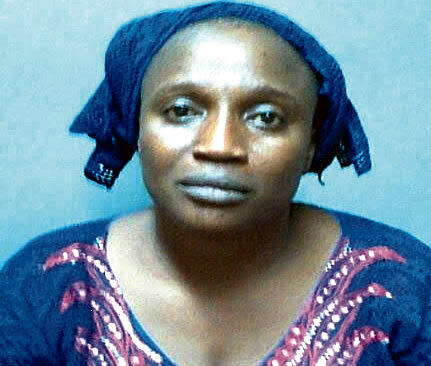 The National Drug Law Enforcement Agency on Saturday said the 55-year-old female hajj pilgrim, Basira Binuyo, who excreted 76 pellets of cocaine last week, had excreted more wraps of the hard drug. The suspect excreted a total of 82 wraps of cocaine. The NDLEA said that the pilgrim, who was arrested at the Nnamdi Azikiwe International Airport Abuja, would be prosecuted.In a statement, the Head, Public Affairs, NDLEA, Mr. Mitchel Ofoyeju, said the suspect tested positive to drug ingestion on her way to Medina, Saudi Arabia while on pilgrimage. Describing her action as shameful and discreditable, the Chairman of the NDLEA, Muhammad Abdallah, said suspected drug traffickers would be severely punished in line with the laws of the land. NDLEA commander at the Abuja airport, Hamisu Lawan, confirmed the total number of wraps of cocaine ingested by the suspect while under observation, the statement said. The suspect was arrested during the outward screening of passengers on an Emirate flight to Dubai en-route Medina. “It is even worrisome that drug trafficking is punishable by death in Saudi Arabia, her final destination,” the NDLEA said. Binuyo hails from Irepodun Local Government Area of Kwara State. She is married with three children and sells cosmetics at Dosumu market, Lagos. The NDLEA said she owned up to the crime and also provided investigators with useful information. “I am a trader in Lagos, married with three children. I wanted to expand my cosmetic business but I had no money. My sponsor offered to foot my expenses to Saudi on pilgrimage. This was how I got involved in the act. I was excited until the issue of drugs was introduced. I wanted to decline but it was late. Besides, I was offered N1m which I accepted. I swallowed the drugs in Lagos and took a flight to Abuja on my way to Medina but I was caught in the process,” she reportedly told investigators.